This seminar is perfect the anyone wanting to create their own music. I will have to share this post on my social media networks. Thanks for the info. The price is very affordable for what you get. 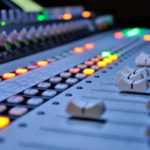 The course explains everything you need to know to do your own recordings ranging from what type of mic to use and where to put it, to editing/mixing/mastering techniques within Pro Tools. Whether you know a little or a lot, I guarantee you will learn something new, and have fun too. Jim and Sean were very informative and had answers to all of my questions. I highly recommend this course to anyone interested in audio engineering.